Yep, she made it and painted it herself to, so special! 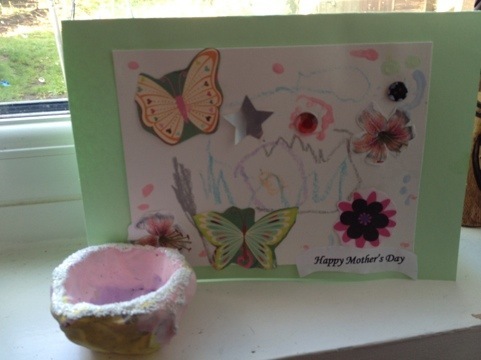 I have two pots made for me on Mothers day a few years ago, I treasure them and they keep my now teens groaning with embarassment. Perfect. Oh good, so I’ll get years of pleasure for myself and then get to torture her with them later in life! I must admit, I shed a tear when I saw it.